Who wants to win a brand new truck? Our best guess: everybody. 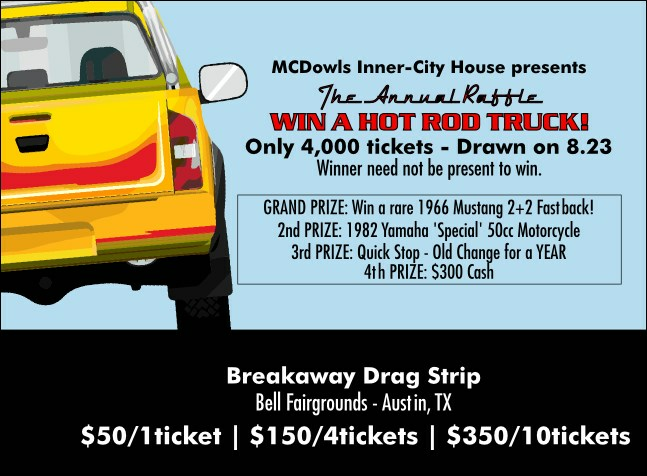 When you're selling raffle tickets, automobiles are a big draw. Why not capitalize on the popularity of your prizes with the Dream Truck Invitation, reminding your patrons where you want to put them?